At present the literature gives students and researchers of the very general books on the formal technics. 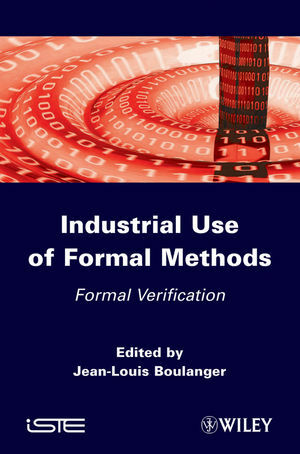 The purpose of this book is to present in a single book, a return of experience on the used of the “formal technics” (such proof and model-checking) on industrial examples for the transportation domain. This book is based on the experience of people which are completely involved in the realization and the evaluation of safety critical system software based. The implication of the industrialists allows to raise the problems of confidentiality which could appear and so allow to supply new useful information (photos, plan of architecture, real example). Jean-Louis Boulanger is an Independent Safety Assessor (ISA) in the railway domain for software.